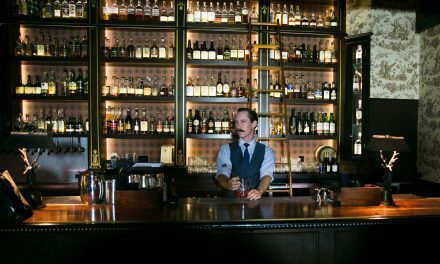 LOUISVILLE, Ky. (June 25, 2018) – – – Louisville-based Copper & Kings American Brandy Co. is relaunching its absinthe spirits in new packaging and adding a barrel finished absinthe to the permanent line-up. 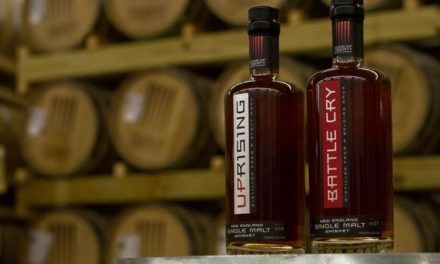 In addition, the distillery also serves a unique rotating, bottle-your-own barrel aged variant available for purchase by distillery visitors. 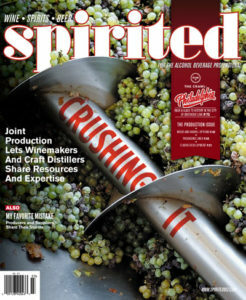 Copper & Kings has made brandy-based absinthes since inception, and like it has for American Brandy it has carved a space of quality distillation technique and aggressive innovation. The flagship Absinthe Blanche has been joined in the past with limited release vapor distilled absinthes (in lavender, citrus and ginger variants) and Zmaj aged in Serbian Juniper wood barrels. “We adore absinthe. We always have, and we love taking it in to different spaces and places,” says Copper & Kings founder Joe Heron. “We think we are pretty good at it (well, we would I guess) and I think our affection for it shows in the bottle. We wanted to give a fresh, cohesive bottle projection with our other botanical spirits, and flag the exclusively double-distilled alembic copper pot-distillation process without the use of re-distilled Grain Neutral Spirits”. 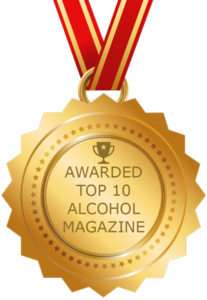 “We were looking to elevate the spirit and give it a level of preciousness that feels worthy of the history of absinthe, worthy of the care the distilling team give their baby and give a shelf presence that is compelling and very visible. The antique greenbottle style is perfect for both the botanical projection and a sense of quality heft,” says Copper & Kings creative director Ron Jasin. Copper & Kings American Brandy Co. distribution footprint includes the following 35 markets including: Alaska, Arkansas, Arizona, California, Colorado, Delaware, Georgia, Illinois, Indiana, Kansas, Kentucky, Louisiana, Maryland, Massachusetts, Michigan, Minnesota, Mississippi, Missouri, Nevada, New Jersey, New Mexico, New York, North Carolina, Ohio, Oklahoma, Oregon, Pennsylvania, Rhode Island, South Carolina, Tennessee, Texas, Virginia, Washington, Wisconsin and Washington D.C.
Copper & Kings uses small batch copper pot-distillation to forge untraditional, non-derivative, pure pot-distilled American apple and grape brandies, absinthe, gin and Destillaré liqueurs that are non-chill filtered with no added sugar, colors or synthetic chemicals. 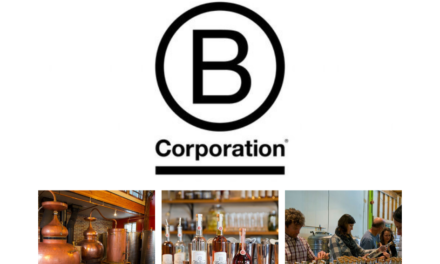 The state-of-the-art distillery exclusively focuses on the distillation of brandy-based spirits. Copper & Kings, located at 1121 E. Washington St. in Butchertown, is owned by beverage entrepreneurs Joe and Lesley Heron. 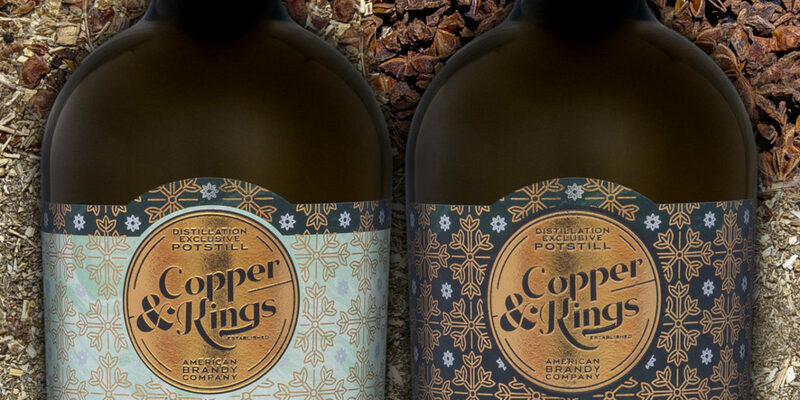 For more information, visit www.copperandkings.com or follow @CopperAndKings on Facebook and Twitter.